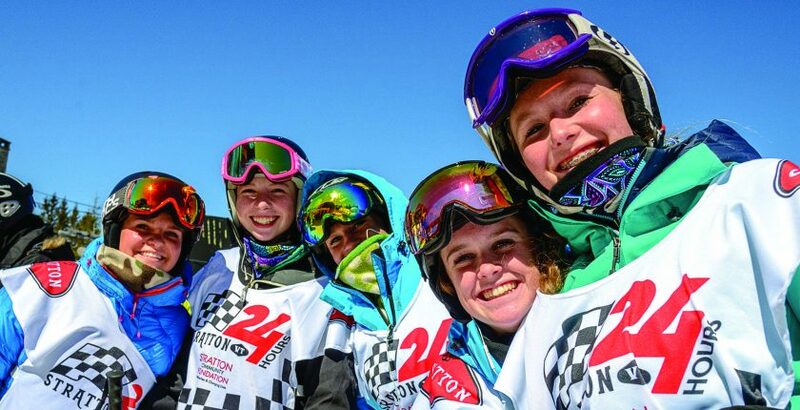 Stratton Mountain, Vermont – January 22, 2019 –Global financial search firm, The Harrison-Rush Group, today announced it will be a gold sponsor of the 7th Annual 24 Hours of Stratton(strattonfoundation.org/24-hours-of-stratton). 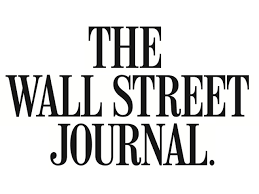 The event will be held Friday, March 15 through Sunday, March 17th at Stratton Mountain Resort in Vermont. 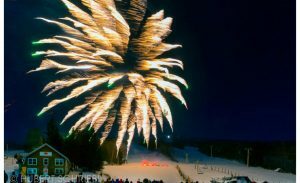 The 24 Hours event is the ONLY night to ski Stratton under lit trails, fireworks, starry skies and into first tracks at sunrise. According to Tammy Mosher, the foundation’s Executive Director, “the event combines the emotional goodness of charity, camaraderie and doing what skiers and snowboarders love most for an epic amount of time.” This year will be less about rigorous endurance and more about enjoying the mountain with all that Stratton has to offer. Participants, of all ages and abilities can join as a team of up to 1-12 members made up of children, parents, colleagues, and friends. Wearing a 24 Hour bib grants access to not only Saturday and Sunday lift passes, but also X-country skiing, tubing, and snowshoeing. Everyone gets a tracking chip to earn points for the team by riding the Amex, Gondola, Ursa, and Snow Bowl lifts to all levels of trails. Gondola hours will be extended after the resort closes to the general public, with giveaways, food, music, swag and more. 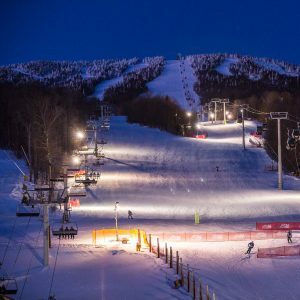 At night, catch the Amex lift to ride Yodeler, Suntanner, Lower Standard and Betwixt trails. Skin or Snowshoe uphill, enter Saturday’s alpine race or play off-slope games to rack up additional team points. Fun prizes and contests include best team name and best costumes. It’s a Saturday 9AM Parade of Champions Start through to Sunday’s Athlete Appreciation Breakfast and Awards Ceremony. It costs nothing to sign up with a commitment to raise a minimum of $300 per person by March 16th by asking friends, family and corporate matching to support the experience and the cause. Steve Kerstein, Foundation President states “the 24 Hours is a powerful partnership between the Stratton Foundation and Stratton Mountain Resort to raise funds for Vermont children and to support our local communities.’ It is the foundation’s largest fundraiser with proceeds benefiting children’s weekend food programs, in-school dental hygiene services, mental health, basic necessities, targeted education, and other human service initiatives. The Stratton Foundation’s mission is to address the challenges of poverty that stand between a child and the opportunity to be safe, warm, healthy, and fed, for the chance to not only thrive, but to succeed. “Vermont can be a difficult place to raise a family. Schools across the region witness a staggering 40-80% of children who qualify for free and reduced lunch at school, meaning that families are making less than $30k-$40k per year” Mosher stated, “forcing parents to choose between food and heating the home, or their child’s health and paying for gas.” The 24 Hours of Stratton is making a huge impact by changing the lives of thousands of children and breaking the cycle of generational poverty. To REGISTER or Donate visit Stratton.com/24. To LEARN more visit strattonfoundation.org or call (802)297-2096. To GIVE text “Stratton” to 414-11.